Ideal for the International Devizes to Westminster Kayak Race. 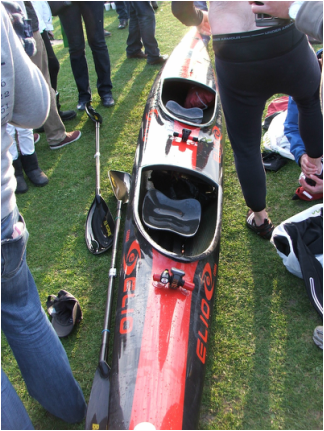 The ELIO Cobra K2.is a popular choice for paddlers attempting the DW for the first time. The COBRA DUO allows a fast learning curve so you can get on with training and racing in the shortest possible time. A very dry boat and one that gives great confidence during the darkness and especially on the tideway below Teddington. Can be supplied with platform seats (see Photo) or lower screw down seats increasing stability.